"Solomon Starbucks Striper is my name. 'Why such a fancy name for a fish?' you might wonder, even though anglers and epicureans alike consider striped bass among the most prized denizens of the sea." So begins this entertaining and beautifully descriptive fable about the importance of following your dreams. Inspired by Jonathan Livingston Seagull, author Roy Rowan uses this fictional fish for his hero. He quits his preppy East Coast school (where he was ostracized because of his coffee-colored stripes) and swims alone, seeking a higher purpose in life than simply filling his gut--and at the same time trying not to be eaten by bigger fish, a calamity all of us try to avoid in work, play, and social situations. Rowan was struck by the fact that adventurous striped bass, that travel thousands of miles guided only by undetermined celestial signals received by an unexplained internal compass, are not so different than humans whose aspirations, goals, and achievements are also directed in some mystical way by a compass we don't understand. Probably our dreams, Rowan believes. 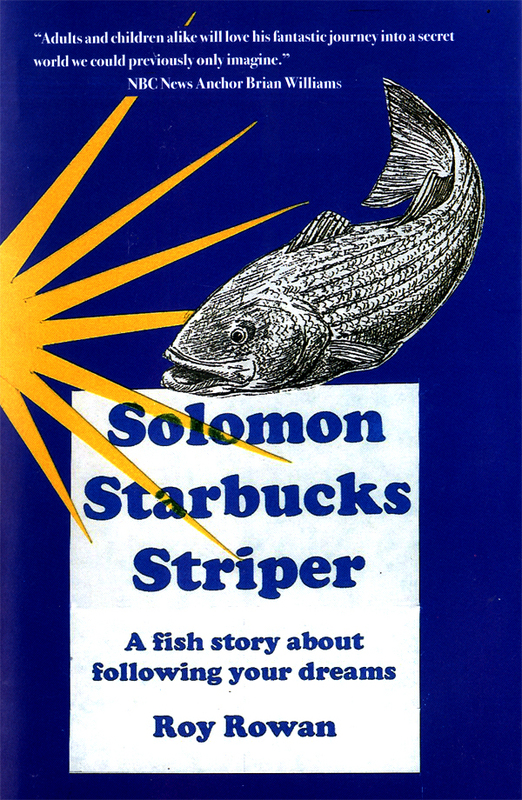 Solomon Starbucks Striper is a soul-searching, feel-good book that should warm the heart of every reader, fisherman, and non-fisherman alike.